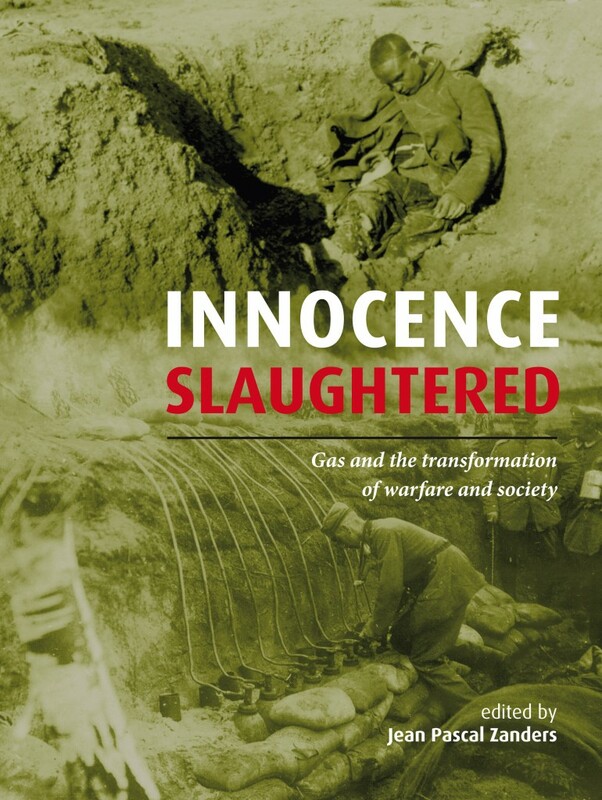 This collaborative work investigates the unfolding catastrophe that the unleashing of chlorine against the Allied positions meant for individual soldiers and civilians. It describes the hesitation on the German side about the effectiveness, and hence impact on combat operations of the weapon whilst reflecting on the lack of Allied response to the many intelligence pointers that something significant was afoot. It goes on to describe the massive transformation that societies were undergoing as a consequence of industrialisation, science and technology, and the impact these trends were to have on the emergence of what we know today as ‘total war’. Chemical warfare pitted the brightest minds from the various belligerents against each other and in some ways this competition revealed early thinking about intellectual superiority that was to define the decades after the Armistice. The ability to survive in a chemically contaminated environment was proof of a higher level of achievement. In simple terms, chemical defence equalled survival of the fittest. Today, 17 June, the Protocol for the Prohibition of the Use in War of Asphyxiating, Poisonous or other Gases, and of Bacteriological Methods of Warfare celebrates its 90th anniversary. Short as the document is, it laid the foundations for the 1972 Biological and Toxin Weapons Convention (BTWC) and the 1993 Chemical Weapons Convention (CWC). How critical that document was to disarmament—the total elimination of a given weapon category—the global community can only appreciate through the growing frustration with the lack of progress in the elimination of nuclear weapons. As the negotiators of the Geneva Protocol came to understand in 1925, without a global ban on use, no other weapon-related activities could legally be curtailed. This three-part analysis retraces the origins of the Geneva Protocol and identifies its implications for disarmament. Part 1 focusses on the discovery of the dual-use dilemma posed by toxic chemicals and the conclusions the negotiators drew from their new insights. Part 2 analyses how the negotiators resolved the dual-use dilemma in meetings preparing the disarmament conference of the 1930s, and in the process came up with solutions that make up the pillars of disarmament today. Part 3 reflects on how the Geneva Protocol experience may point to a tangible nuclear disarmament strategy in view of the failure of the 2015 review conference of the Nuclear Non-Proliferation Treaty (NPT) and the difficulties in reaching a satisfactory agreement with Iran to shed more transparency on its nuclear activities. On 20–21 March the University of Rome III hosted a roundtable discussion to reflect on the current status of the prohibition on chemical weapons (CW) and the future challenges to that ban. Although convened by the Law Department, the speakers represented an eclectic group of experts with backgrounds in international law, political sciences, chemistry and biology, as well as practitioners. Notwithstanding, the meeting yielded considerable coherence in arguments, with questions, challenges and supplementary insights contributing further to an already rich multi-disciplinary texture. The Chemical Weapons Convention (CWC) is at the heart of today’s prohibition on CW and their use in armed conflict. However, it does not stand in isolation. In fact, one could build a case that the norm against CW has a variable geometry. Approach it from the ban on chemical warfare, and the 1925 Geneva Protocol and its links to the International Criminal Court or the United Nations—in particular, the UN Secretary-General’s mechanism to investigate alleged use of chemical or biological weapons (CBW)—may take centre stage. Approach it from the angle of scientific and technological developments, and the 1972 Biological and Toxin Weapons Convention (BTWC) emerges as a possible point of entry. Approach it from the threats posed by terrorism and UN Security Council resolutions, including 1540 (2004), with their demands for national legislative action come into play. And so on. The various tools available today have created mutually reinforcing bridges. However, they are also the source of contradictions and large gaps remain between them. As the Rome roundtable brought out, it is not always clear how they can be reconciled or filled. Unsurprisingly therefore, Syria made up one of the main threads tying the various sessions together. But it was not the only one: other recent issues pose remarkably similar challenges to the future of the prohibition on CW. This blog posting summarises the presentations and offers a few personal reflections on points raised during the discussions. This morning the UN Human Rights Council published the report of the Independent International Commission of Inquiry on the Syrian Arab Republic (ICI). While detailing the horrors of the escalating civil war and the atrocities committed by both sides, the document was eagerly awaited after Commissioner Carla del Ponte had claimed on Swiss-Italian television four weeks ago that the ICI has evidence of rebel use of chemical weapons (CW). She added that it still had to see direct evidence of government chemical warfare. The next day the ICI clarified that ‘it has not reached conclusive findings as to the use of chemical weapons in Syria by any parties to the conflict. As a result, the Commission is not in a position to further comment on the allegations at this time’. Despite its terseness, it did not exactly refute del Ponte’s asseveration. 136. As the conflict escalates, the potential for use of chemical weapons is of deepening concern. Chemical weapons include toxic chemicals, munitions, devices and related equipment as defined in the 1997 Convention on the Prohibition of the Development, Production, Stockpiling and Use of Chemical Weapons and Their Destruction. Also applicable is the 1925 Geneva Protocol which Syria has ratified. The use of chemical weapons is prohibited in all circumstances under customary international humanitarian law and is a war crime under the Rome Statute. 137. The Government has in its possession a number of chemical weapons. The dangers extend beyond the use of the weapons by the Government itself to the control of such weapons in the event of either fractured command or of any of the affiliated forces gaining access. 138. It is possible that anti-Government armed groups may access and use chemical weapons. This includes nerve agents, though there is no compelling evidence that these groups possess such weapons or their requisite delivery systems. 139. Allegations have been received concerning the use of chemical weapons by both parties. The majority concern their use by Government forces. In four attacks – on Khan Al-Asal, Aleppo, 19 March; Uteibah, Damascus, 19 March; Sheikh Maqsood neighbourhood, Aleppo, 13 April; and Saraqib, Idlib, 29 April – there are reasonable grounds to believe that limited quantities of toxic chemicals were used. It has not been possible, on the evidence available, to determine the precise chemical agents used, their delivery systems or the perpetrator. Other incidents also remain under investigation. 140. Conclusive findings – particularly in the absence of a large-scale attack – may be reached only after testing samples taken directly from victims or the site of the alleged attack. It is, therefore, of utmost importance that the Panel of Experts, led by Professor Sellström and assembled under the Secretary General’s Mechanism for Investigation of Alleged Use of Chemical and Biological Weapons, is granted full access to Syria. The strongest refutation of del Ponte comes in §138: insurgents ‘may access and use’ CW refers to a future possibility, not events in a recent past. The 430 interviews and other evidence collected between 15 January and 15 May 2013 yielded ‘no compelling evidence that these groups possess such weapons or their requisite delivery systems’. Although the next paragraph states that ‘allegations have been received concerning the use of chemical weapons by both parties’, it does not specify from whom the ICI obtained this information. Listing the main allegations between March and mid-May, the sources may just as well have been the UN Secretary General, the formal requests to Ban Ki-moon by Syria, UK and France to launch a formal investigation of alleged use, or the many media reports. It does not assert, as del Ponte did, that ‘Our investigators have been in neighbouring countries interviewing victims, doctors and field hospitals and, according to their report of last week which I have seen, there are strong, concrete suspicions but not yet incontrovertible proof of the use of sarin gas, from the way the victims were treated.’ As a matter of fact, the ICI document does not mention sarin a single time. The mere assumption that no UN member would submit to the Secretary general a frivolous request for an onsite investigation allows the Commissioners to write in the introductory summary that there are reasonable grounds to believe that CW have been used, possibly by both sides. In §140 the ICI nonetheless comes to the obvious conclusion that confirmation or refutation of the allegations will be possible only after samples retrieved directly from victims or the site of the alleged attack by an independent international expert team have been tested. It is a plain shame that Carla del Ponte has felt the need to join the global chorus of blabberati. Commentaries will invariably focus on her statements, or on whether the ICI document buttresses the Obama Administration’s position that its self-proclaimed red line has not yet been crossed. It also refers to the applicability of 1925 Geneva Protocol prohibiting the use of chemical and biological weapons in armed conflict and emphasises Syria’s ratification. The phrasing is interesting, because it juxtaposes rather than cascades both international agreements, thus implying that the scope of the CWC definition of a CW also applies to the Geneva Protocol. It declares CW use as prohibited in all circumstances under customary international humanitarian law and determines that it is a war crime under the Rome Statute. Most significantly, it does so in a separate sentence and without specific referral to the Geneva Protocol. Usually, scholars, lawyers and officials will assert that the Geneva Protocol has entered customary international law. According to their phrasing, the ICI Commissioners strongly suggest that the CWC equally informs the customary norm, which is not without consequence given their emphasis on the CWC definition of a CW. It definitely sharpens the boundaries of a war crime as defined under the Rome Statute. These points will be and have to be the subject of legal debate to bolster the CW prohibition under any and all circumstances.